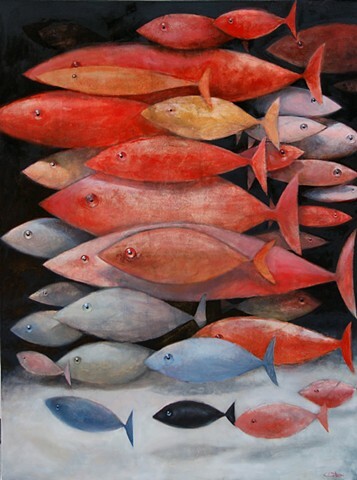 This painting is one of a series of fish paintings. These paintings are done completely by memory and imagination. As a scuba diver I have spent many hours underwater at night observing fish. I wanted to bring out the variety of shapes and colors. With this series I prefer to work instinctively. These are my "Cave Paintings".